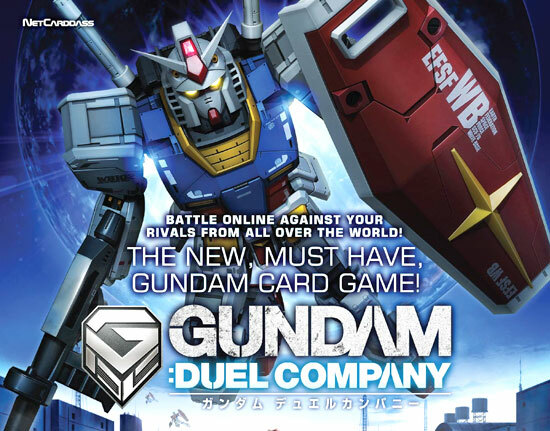 For Gundam fans, you may like to know there's a recent new release of Gundam mobile suit game card and it is called Gundam Duel Company. 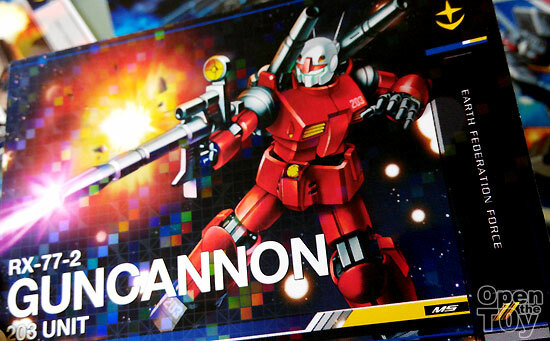 This game particularly allow user to direct various Mobile suit and pilots to go for battle. 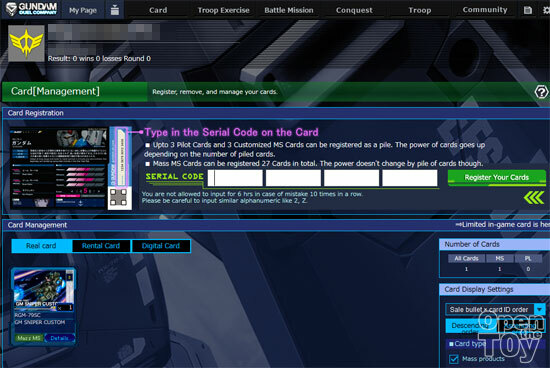 It is a free game on the internet but you can also purchase some mobile suite units and pilots in card form to register and add-on. I started off the game with a Special order from E.F.F (yes I am a old schooler) that cost SGD$12.50. What is in the pack you may asked? Here is the list. If you are wondering what is R3, R2 and R1 in the cards, it mean R for Rare. The higher the number mean higher the rarity. 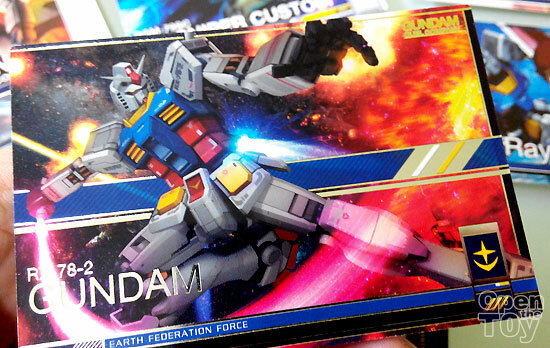 In this case, the highest in this pack is RX-78 Gundam! If you are lover of cards, you will see the uniqueness of this card is having chrome paint on some of the wording. The other card Guncanon have some sparkling effect too. Look really special. 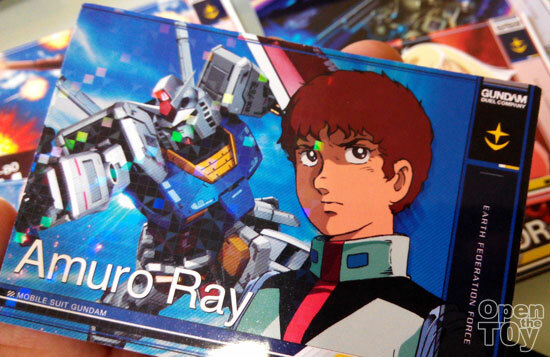 Amuro Ray the well known pilot also have special effect on the card. In the game there are two type of Mobile suit. 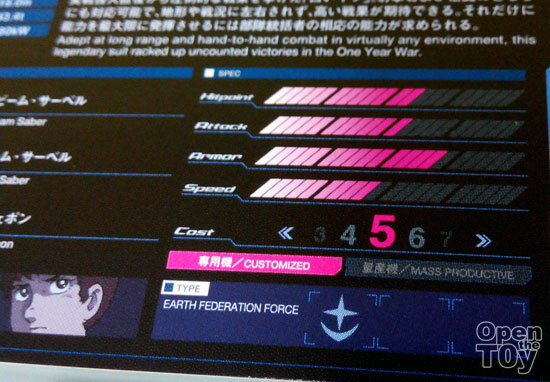 Customized are those rare type which in the game allow combination of 3 of the same type to have a more powerful unit. It will have better rate of getting the shot through and evading attacks . 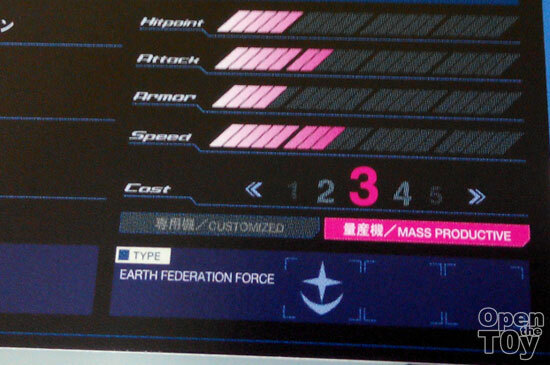 As for Mass production Mobile suit, you can add 27 of the same model in cards to have a more powerful unit. 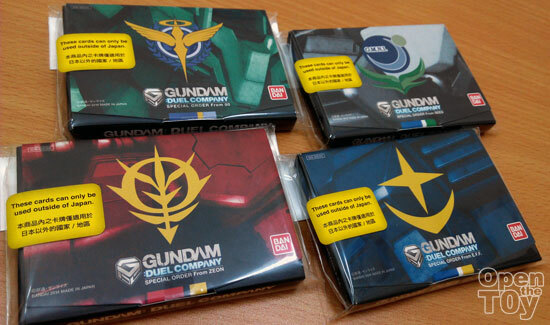 For starter pack, Bandai offer four choices. Just pick your pick. Here is a video on the game. Once you login the game, you can start registered your cards and that unit will be added to your troops. The great thing is that you are also able to unregistered cards if one day you want to pass some of the cards to swap with your friends. 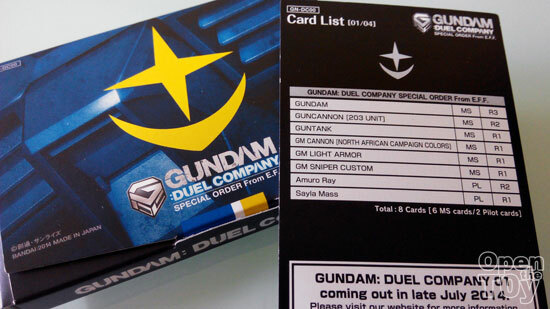 In the game, you get earn more mobile suit and pilots but there are some cards which you can have a booster add on and it comes with 3 cards randomly in a pack that cost SGD$4.80. In the game, you can set your formation according to your mobile suit and pilots. All you need to go for mission and conquest to earn more ranking so you can get more mobile suit and pilot. 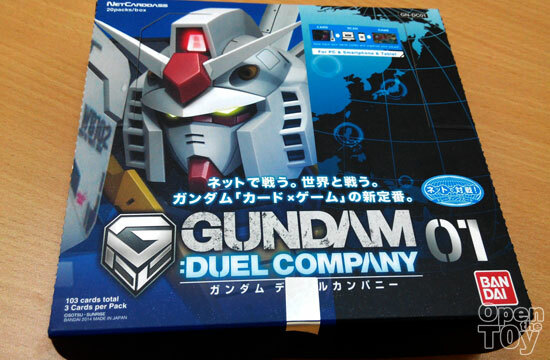 If you are a Gundam fan, this is one game that allow you direct your conquest and collect good looking cards. For cards collectors, this is a plus. 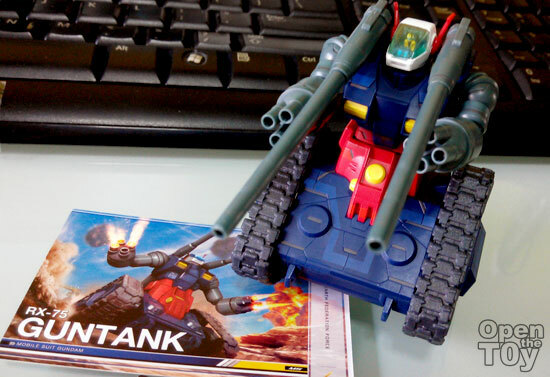 Here's a Guntank card with my Guntank collection. :D Look good? Give this game a try as it is free to register and even if you do not get a starter pack, there are some mobile suit allocated to let you start off. Of course having starter pack will give you some advantages.